The annual “Swedish eScience Academy” will take place in Lund October 15-16 (lunch-lunch). More information and detailed schedule will be posted on the event’s page. 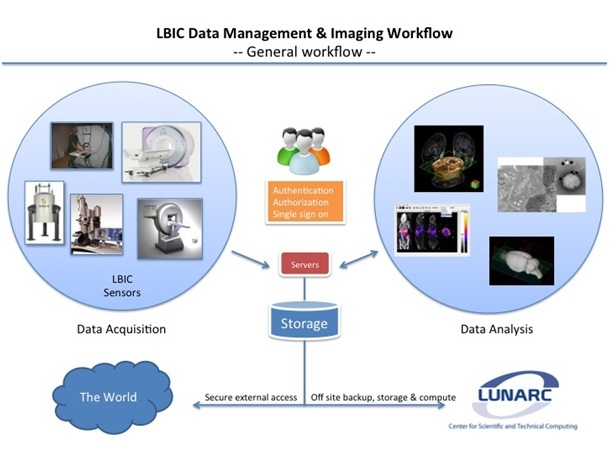 Important aspects for an efficient bioimaging workflow is a structured and secure data management system with focus on usability. Also integrated access to high performance computation and visualization is of interest in certain application areas. Important data such as images and signals acquired by different researchers are sometimes by default stored in shared local storage areas using the same user account. The mechanism commonly used for data transfer either between internal systems or between sites is most often a portable USB type storage device. Frequently, no backup or data protection plans exists. This all together creates “data chaos” with an imminent risk for data loss and security related issues.